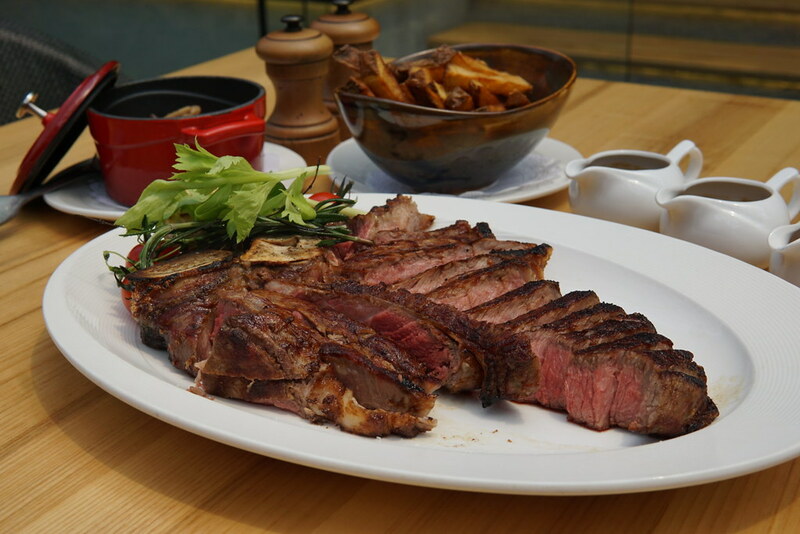 The RANCH Steakhouse is an ASTON’s chain that opened at Clarke Quay, specialising in dry aged steaks served table side. 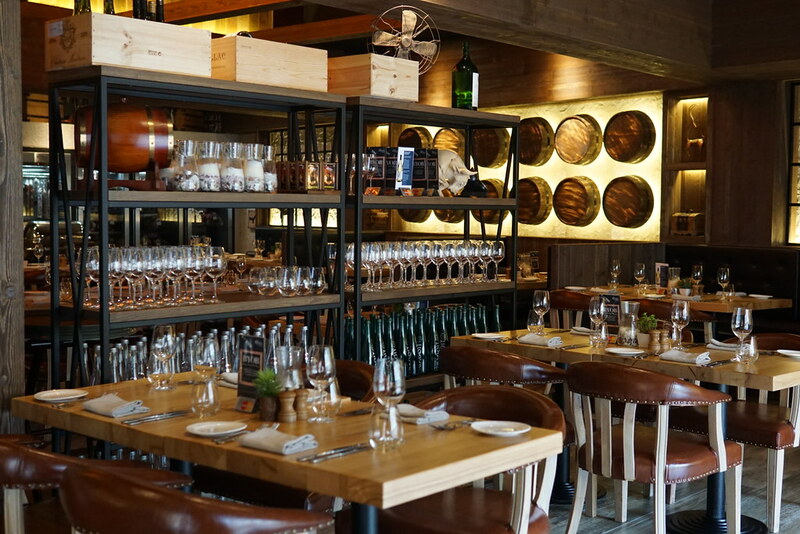 Upon entering the restaurant, you’ll be greeted with huge portions of steaks aging in the glass fridges. It was great how you can take a look at the steaks being aged and even see how many days they’ve been aged for. You can also feel free to watch your meals being prepared at the open concept kitchen. Start of with their wide range of cold or hot starters. We had the Beef Tartar ($18/100g, $34/200g) which was a generous amount of hand cut beef tenderloin mixed with onions, caper, gherkin, tomato and spices to musk the raw taste of beef. A smooth quail egg will be cracked in the centre, then laced with XO Cognac. 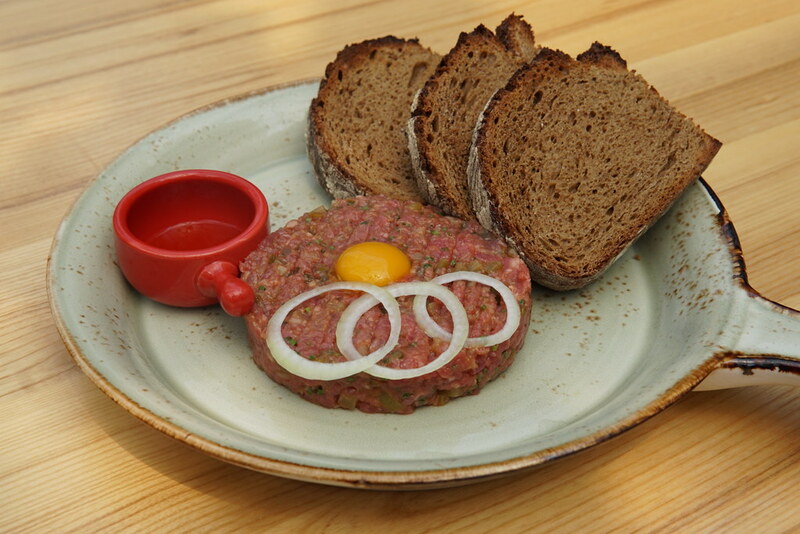 Enjoy this tender beef with toasted rye bread. A hot starter that is a must try was the Homemade Crab Cake ($18). 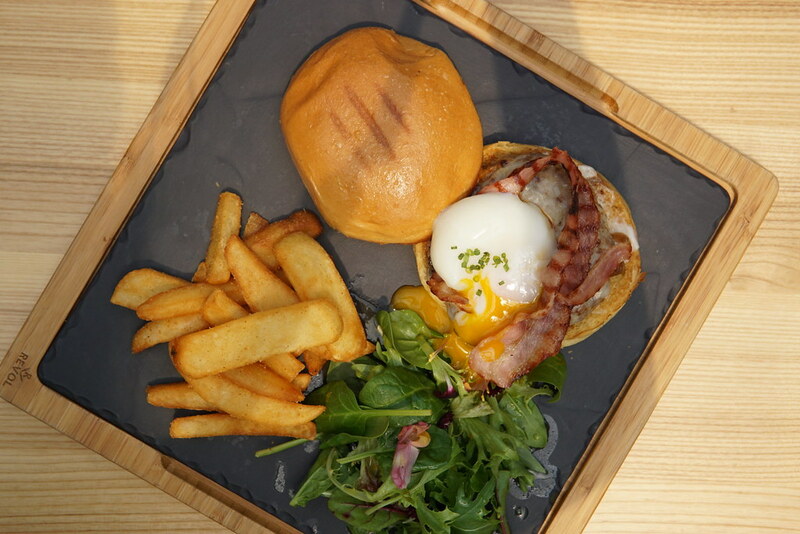 They use premium crab meat in the patty and was accompanied with a really interesting and refreshing avocado ice cream. 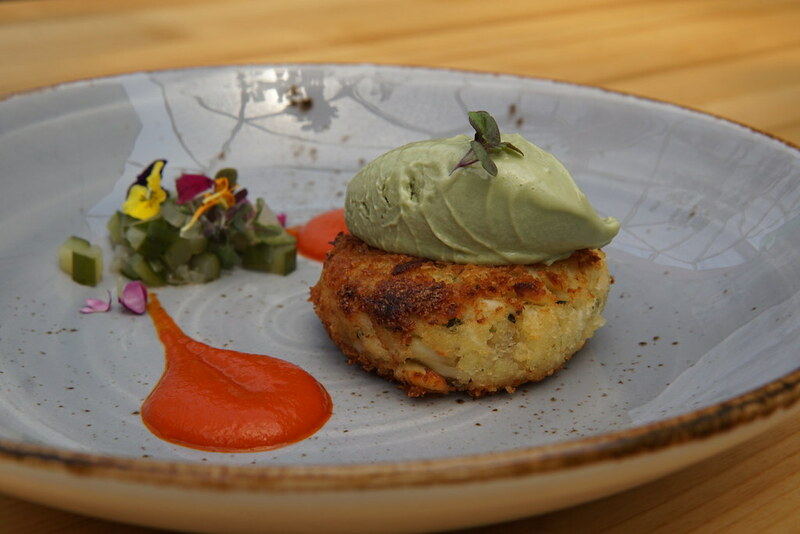 One of my favourite elements on this dish was the roasted red capsicum ketchup that went so well with the crab cake. 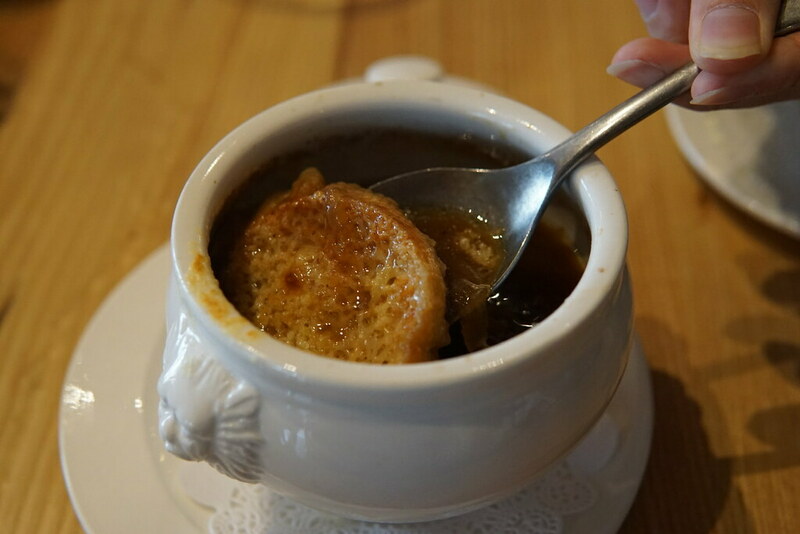 If you’re a soup person like me, the French Onion Soup ($12) and the Classic Lobster Bisque with X.O. Hennessy ($16) were so hearty. We personally liked the Lobster Bisque more as it had more complex flavours and was so rich and creamy, with real bits of lobster in it. Pair your soup with The RANCH Artisan Bread Basket ($7) that comes with the most fragrant truffle butter. Now to the mains we’ve all been waiting for - the Signature USDA Prime 30 Days Dry Aged Steak. 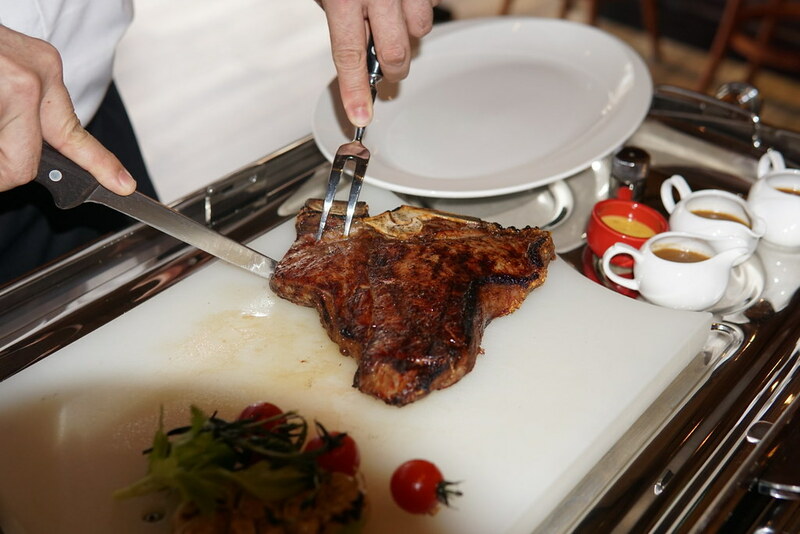 This 700g of Porterhouse T-Bone ($15/100g, min. order 700g) was enough to feed about 2-4 pax and came with a choice of one sauce - Bearnaise, Perigord Truffle, Red Wine or Twin Peppercorn. Honestly, the steak was already so amazing on it’s own but I do recommend the Perigord Truffle sauce. Whip out your phones as they will serve your choice of steak table side and cut it right in front of you. 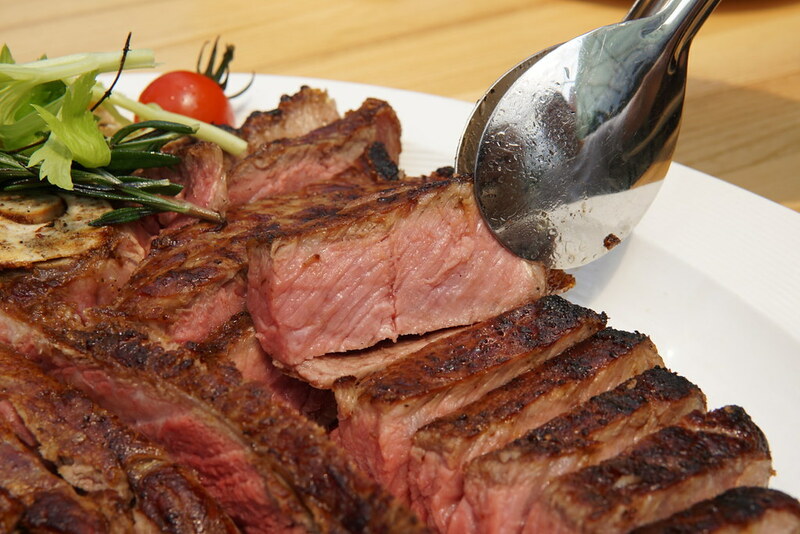 The difference between a regular steak and a dry aged steak is that it is more firm and compact, giving you a lot of flavour in every bite. Along with your steaks, feel free to order any of their side dishes for $8 each. I recommend The RANCH Homemade Fries which were so well made I was so addicted to them. End of your meal with a comforting dessert like the Chocolate Paradise ($12). This was a sight to behold as it featured a hazelnut chantilly, feuilletine tuiles and a salted crumble. 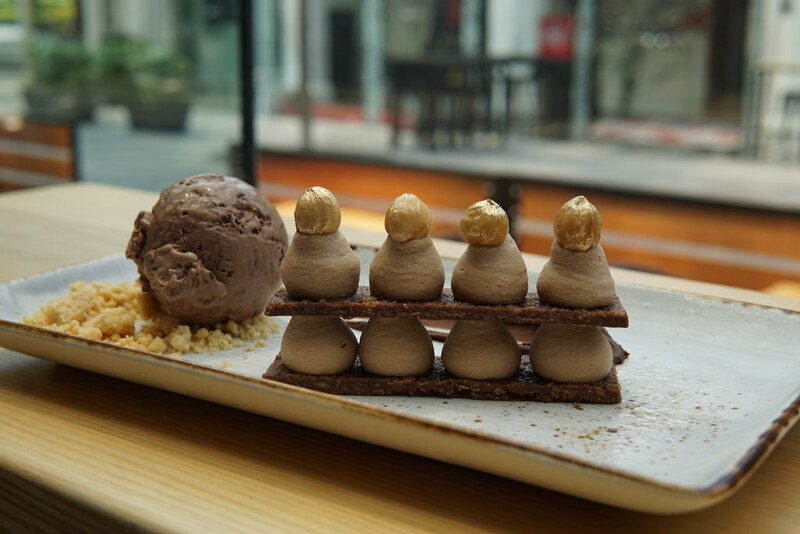 Paired with a swiss chocolate ice cream, this dessert was like a deconstructed and elevated ferrero rocher. My winning dessert was the Creme Brulee ($12) as it was my first time having a sour creme brulee which was so refreshing. 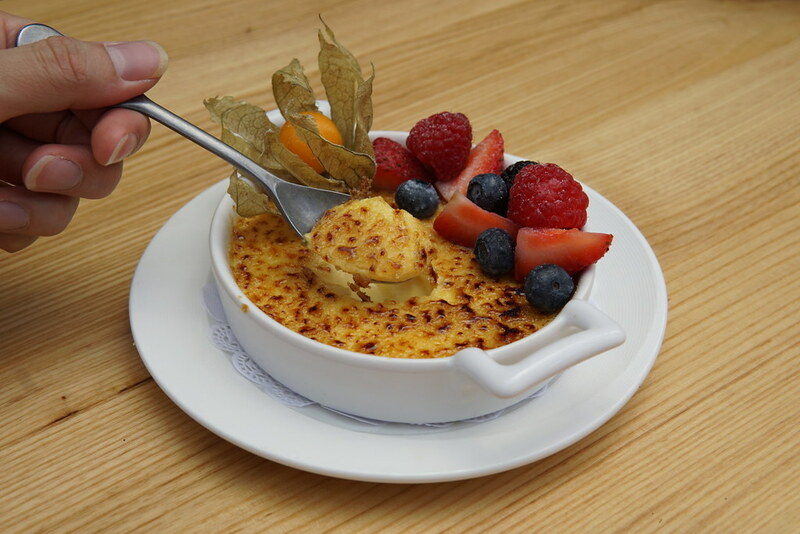 The tanginess from the passionfruit went so well with the heavy creme brulee, I couldn’t have asked for a better combination. The RANCH Steakhouse is also offering a 2 Course Set Lunch at $15 that is not only affordable but so value for money. It comes with a soup of the day and a main course which you can choose from The RANCH Open Burger, Mushroom Linguine and Corn-Fed French Spatchcock. The RANCH Open Burger was one of the best burgers I’ve had and I wasn’t surprised since it was made with premium beef patties and topped with a sous vide egg, crispy bacon and a toasted brioche. It was juicy, so packed with flavour and was enjoyable with every bite. Photos and words by Vanessa Chia. A girl who has a passion for taking photos. Determined to always get better at what I am doing. Note: This is an invited tasting.